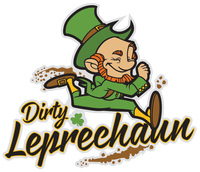 Join us on Saturday March 18th at Lee Farms as we celebrate St. Paddy’s day…by getting down and dirty! Fun and challenging obstacles, mud, beer, food, mimosas, music, bonfires, warm changing rooms and more! Don’t miss out on all the fun, participation is capped at 1500. It’s gonna be the funnest, coolest, muddiest celebration ever! We hope to see you all there. - waves limited to 50 people each. - limited to 1500 participants! PARKING AT LEE FARMS ($20): This is very limited. Parking passes must be purchased in advance and are $15 for each vehicle. There are 250 passes available.